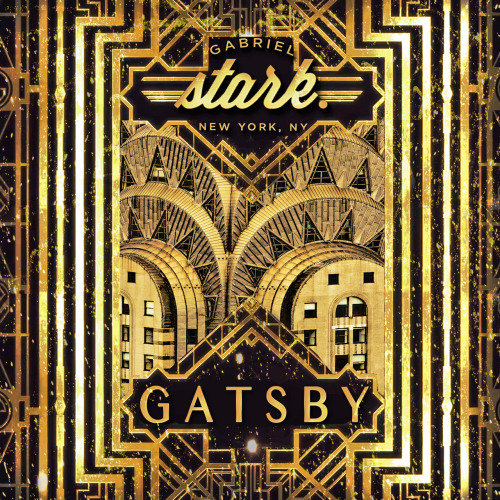 GATSBY, the seventh and brand newest album from Gabriel Stark, finds the ambitious young rapper "making hay whilst the sun is out", to borrow from the album's opening track. Even before GATSBY was released on October 30, Stark hadn't known a minute where he wasn't on his grind. September entailed hitting up eleven cities in one month, performing at some of the most storied venues in New York, Boston, DC and Chicago as part of his Gold Loft Tour. Then returning home to drop GATSBY in October. This week he relinquishes the first video in his seven album career. If GATSBY is Stark's music résumé, I'd say "Cake" could serve as his objective. The delivery of his tightly laced rhymes represent Stark at his hardest, bringing his lyrical depth and dexterity to focus. That and it rides on a pretty bombastic beat as well. Extra points for "good production value". It's interesting that the video opens with Stark reading a newspaper, shaking his head at the headlines he's reading. On a visual level, he seems polite almost to the point of scholarly, a nice young gentleman with his khakis and striped sweater. Just on his way to film his first rap video, that's all. Obviously the opening outfit is meant to demonstrate a facet of Stark. But it adds some great dimensionality to the person behind the music we're hearing. "Cake" closes with Mike Tyson musing about entering the ring before a fight: "All during training I've been afraid of this man. I thought this man might be capable of beating me. I've dreamed of him beating me… Once I'm in the ring I'm a god. No one could beat me." In the context of this album, it's a profound way to segue into a body of work that clearly embodies Stark's proximity to the ring and his earnestness to remain unbeatable. And with work like GATSBY, he's certainly going the distance. Check out GATSBY in its entirety by clicking the album art below.